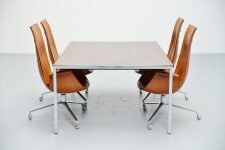 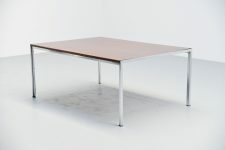 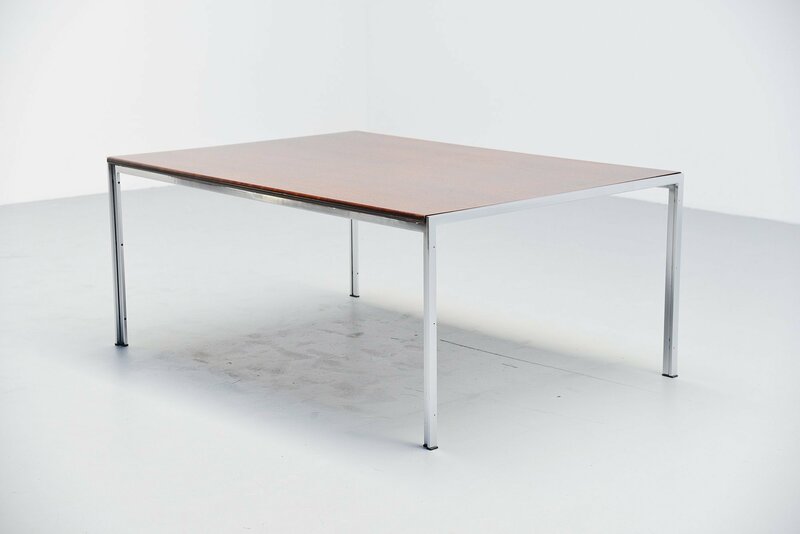 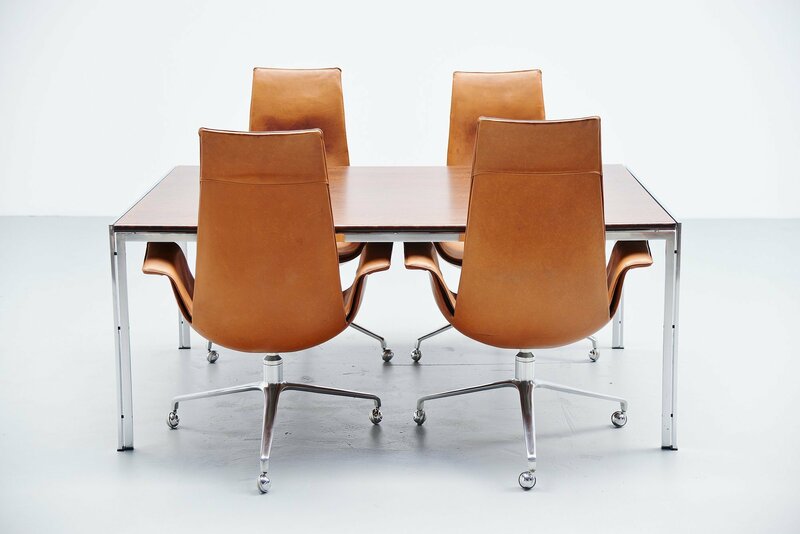 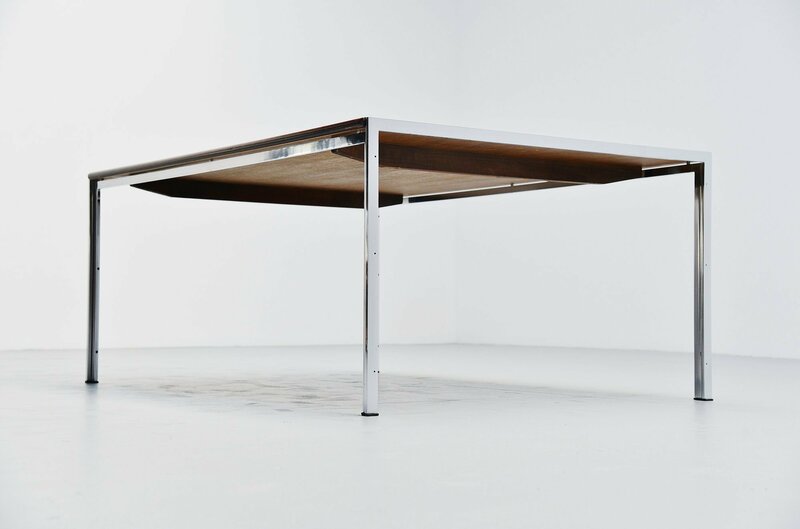 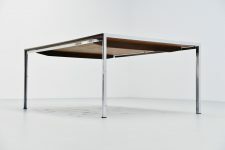 Rare large dining or working table designed by Jorgen Kastholm and manufactured by Kill International, Germany 1973. 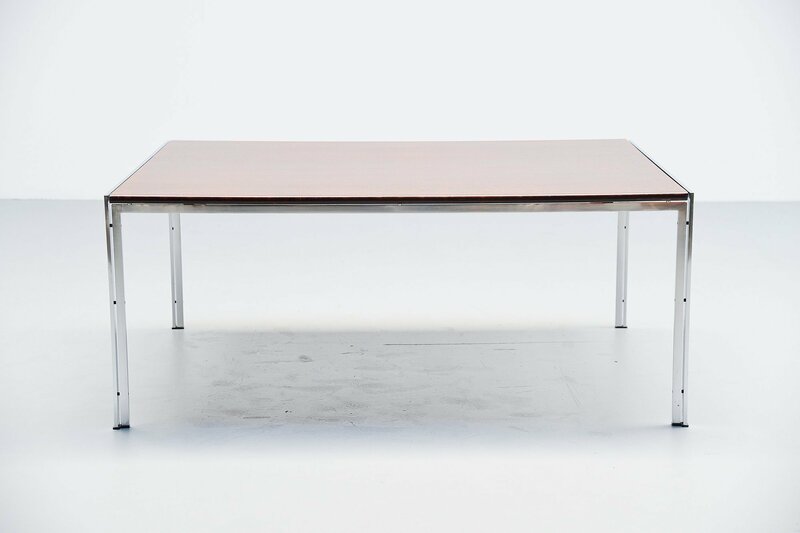 This table has a stainless steel frame and a wenge wooden top. 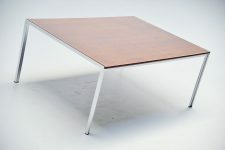 Very nice minimalist table in very good original condition. 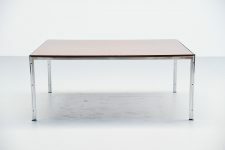 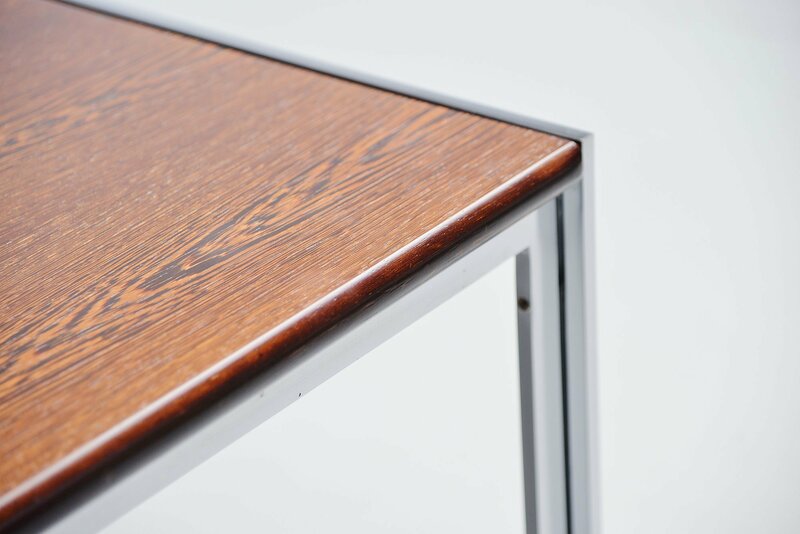 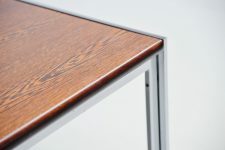 The simplicity of this table makes you look at the usage in materials which are of amazing quality. 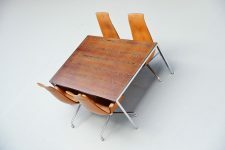 Would look great in any modern home or office. 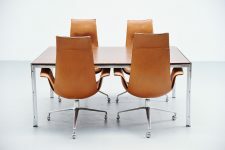 Have a look at the matching bird chairs we have in stock in black or natural leather.